Fill out your profile completely: Profile Picture, Description and Link to Your Website. Notice how Kim Garst’s profiles clearly states who she is, what she does and how to access her website. Begin posting: Try to share both videos and images to keep your profile interesting. Avoid posting the same type of content, quote for example, too often. For local businesses try including your location. Include informative captions: Studies have shown that the caption is extremely important when it comes to Instagram. Draw followers attention with high quality images or videos, but do not forget to spend some time crafting a solid caption to further explain the point of your post. Use Hashtags: In order to grow your Instagram community, you must be seen and followed by people that are not currently following you. Hashtags makes this possible. Unlike most social networks, hashtags are used in abundance on Instagram. We recommend including a few in your caption and then adding several more as a comment after the post has been published. This gives you the opportunity to delete them later and it keeps your captions cleaner. Research the best hashtags and begin integrating them into your posts: Hashtags are extremely important on Instagram, so spend some time researching the best hashtags for your industry/niche. Tools such as RiteTag make it easy to find the best hashtags to use. Comment on other users’ images: Instagram posts typically receive at least 6x more likes than comments. With this in mind, comments are a great way to draw the attention to your page, while inviting a two-way conversation. 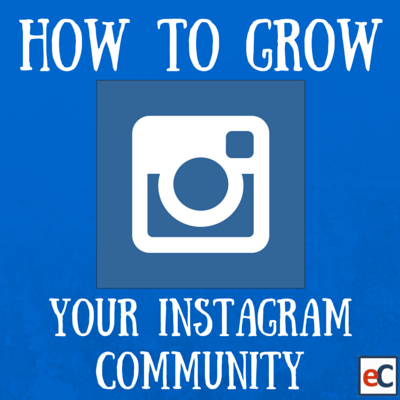 What tips or tricks have you used to grow your Instagram community? Let us know in the comment section below!